We thought our members and visitors could benefit from some winter golf tips. The good thing about living in the Southeast is that we can play golf year round. Of course you have your fair weather golfers what won’t play when it drops below 60 degrees, but there are plenty of diehards that go into withdrawal they don’t get to play golf on a regular basis. Getting the proper layering is key, investing in a good pair of long underwear can make time on the course in cold weather more bearable. The head, hands, and feet are most important, so a warm hat, a good pair of socks and shoes, and cart mittens will make the day more comfortable and help you play your best under the circumstances. Your hands are the only connection you have to the club, so protecting your hands will help you keep the feel that’s needed to play good golf, especially around the greens. Accept that your swing will be restricted. Because of the extra clothes you are wearing you won’t be able to get the same distance you’re used to when you are playing in a short sleeve shirt and shorts. With that in mind, don’t over swing to try to compensate for the lose of distance, just take what you can get and be happy with it. Also, the golf ball is harder to compress and the fairways are usually more wet during the winter months, so you may have to hit longer shots into the greens. Prepare to rely more on your short game to help save your par or bogey. It’s hard to shoot your best scores in the winter months, so don’t beat yourself up if you don’t break any records. I admit, I don’t always hit on the range before I play. But, when it’s cold I like to make some swings on the practice tee to not only build up some body heat, but to get a feel for my swing with all the extra clothes. My swing obviously feels shorter with the additional layers, more like a 3/4 swing instead of the full swing I’m used to. Perhaps the best of winter golf tips is to move up a tee box and play the white tees. The course can play much longer in the winter, so why not give yourself a break and “Play it Forward”. 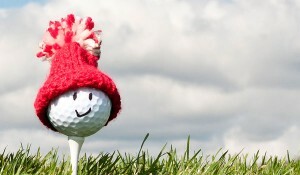 I guess the moral of the story is to use these winter golf tips to set yourself up for success. Give yourself the best chance to have fun and enjoy the cold outdoors on some of those days that you normally wouldn’t play. Being prepared can make the difference in whether you have an enjoyable day on the course, or your freezing your fanny off. Golf courses spend a lot of money putting down rye grass in the winter so we can have lush green fairways. Let’s get out and support their efforts. Playing golf in the winter is a different kind of golf, so embrace the challenge and see how you can do. 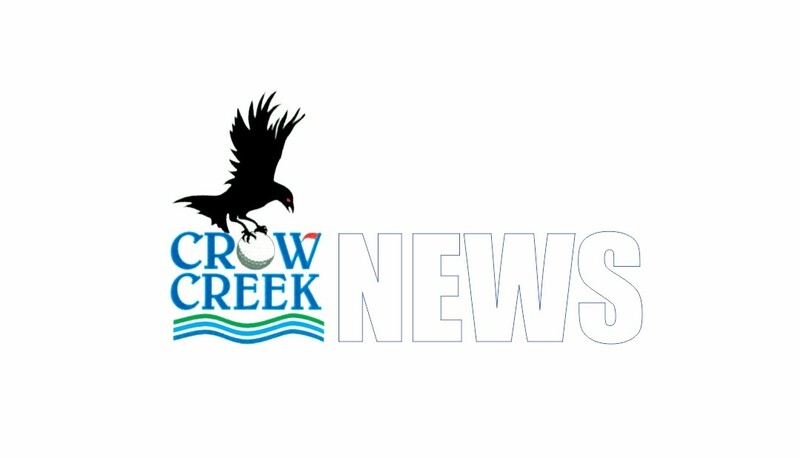 To learn more about golf instruction at Crow Creek ask the pro or click HERE.